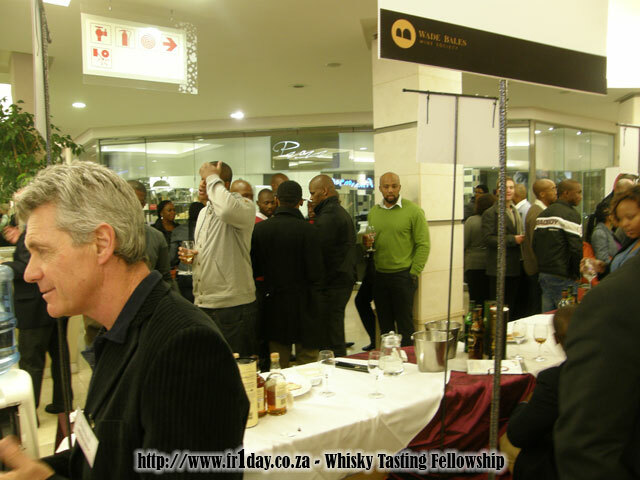 I must apologise in advance to the oenophiles as my review of my evening out at the Kaya FM / Wade Bales Wine and Malt Whisky Affair is a bit one-sided. Being a whisky lover I didn’t quite make it past the delicious drams on offer so I can’t tell you much about the bountiful array of premier wines that were available, but judging by the number of smiling faces and happy banter of those with their glasses filled with a luscious red or crisp white wine I believe the wine selection was fantastic. Riding up from the underground parking one steps off the escalator into The Firs shopping centre and straight into the show itself, with the walkway split down the middle by the wine stands with their bottles proudly on display. 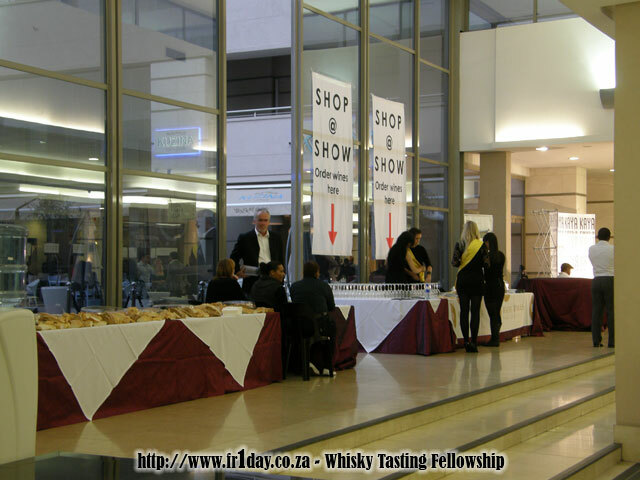 It was a bit of a surreal moment – a wine and whisky show in a shopping centre? 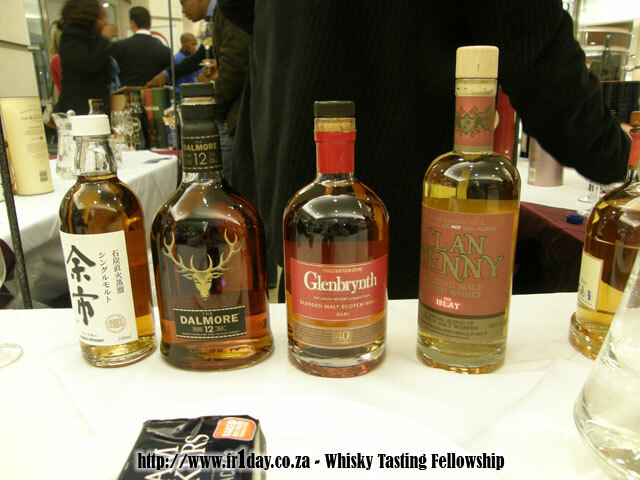 With a bemused expression on my face, I made my way past the tables reading out the names of some of the wine estates in attendance – Klein Constantia, Ernie Els, Paul Cluver, Warwick and more – until I came across my private little whisky paradise! 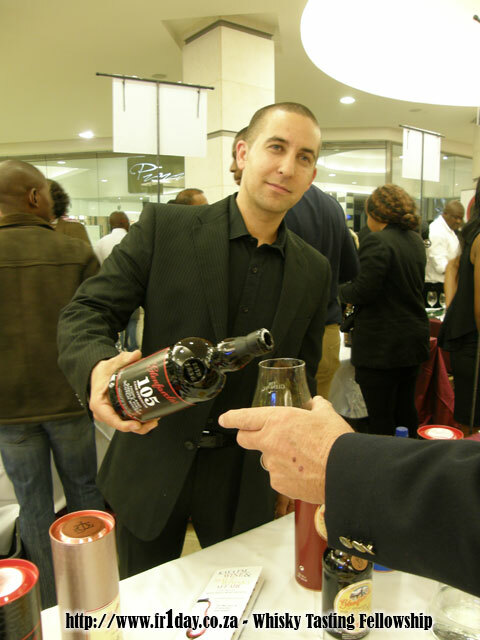 As with the last show, Wade Bales (the man behind the Wade Bales Wine Society) heads up sourcing all the great wines that are available to sample and Hector McBeth, owner of Whisky Shop, was tasked with organising the whisky exhibitors and he pulled together a great bunch of whisky brands. The Whisky Shop, Glenfarclas and Highland Park/Macallan stands took up a sizable portion of my time. So many nice whiskies to try, so little time! 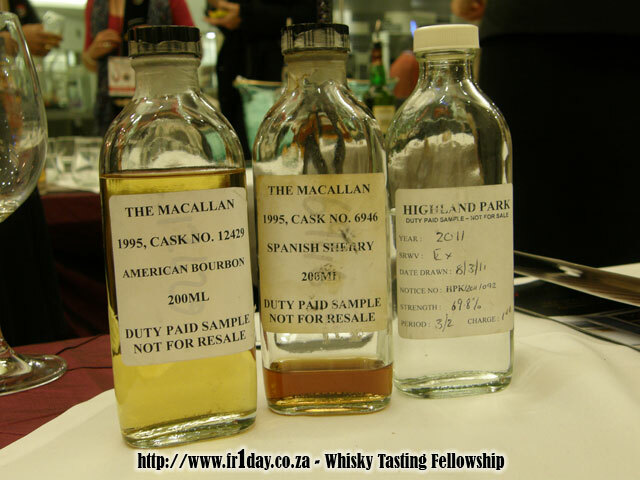 I was very impressed with the calibre of the people behind the stands – in attendance where Candice Baker (Brand Ambassador for Highland Park & Macallan), Pierre Meintjes (Brand Ambassador for Bunnahabhain & Black Bottle, Dave Gunns (co-owner of the Wild About Whisky Bar in Dullstroom), Marc Pendlebury (he runs a great whisky blog called Whisky Brother), Hector himself and several others. These folks really know their stuff and the ease at which they were able to switch from the more geeky whisky questions I put to them to gently guiding and enlightening those patrons enjoying their first whiskies was a pleasure to behold. Kilchoman Single Cask – at 60%+ ABV this smokey monster is a remarkable dram! The lads over at Kilchoman really know how to produce top class whiskies. Balvenie Portwood 21yo – silky honeyed magic on the tongue. 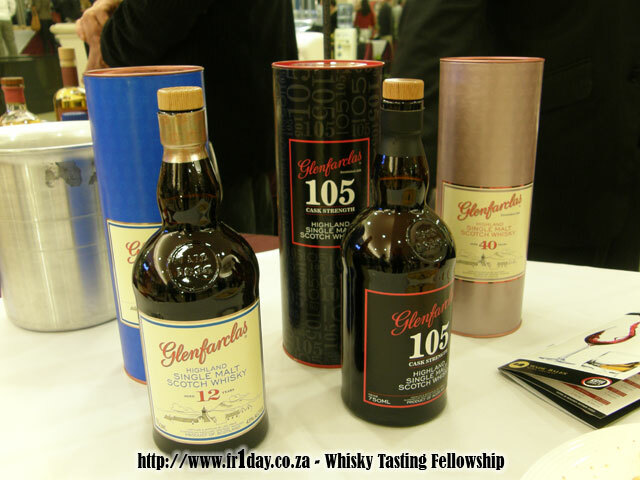 Glenfarclas 105 – a loveable brute of a whisky! A nice feature at Wade Bales shows is the Shop @ Show concept, where you can tick off the wines and whiskies you enjoyed tasting at the show and then hand in your order form knowing that a few days later your favourites will be delivered to your doorstep. It sure beats having to lug several bottles down to your car. As an added incentive, by ordering at the show you were entered into a draw for a R28 000 Leibherr wine storage unit – not too shabby! In what is becoming a bit of a Wade Bales Wine & Malt Affair tradition, as the evening was coming to a close Hector McBeth filled the glasses of a lucky few with one of Speyside’s finest – the Glenfarclas 40 year old. We all nosed and tasted the dram under Hector’s instruction, savouring this special dram. 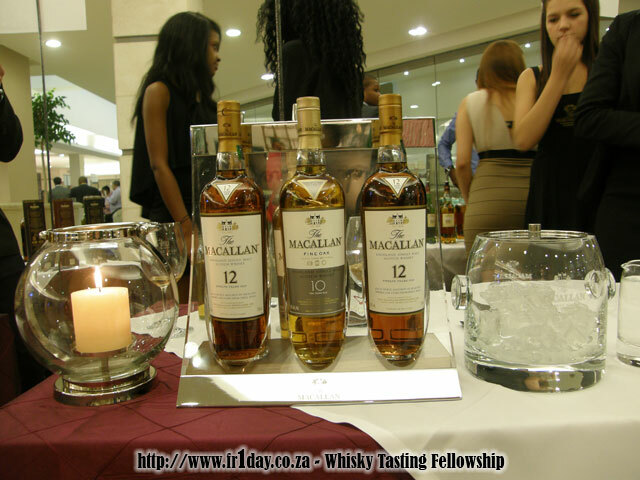 A young lass next to me who was new to whisky, but enjoyed her sherries, was in awe of what she had just tasted. A magical moment indeed! Karen: Firstly thank you for tickets! 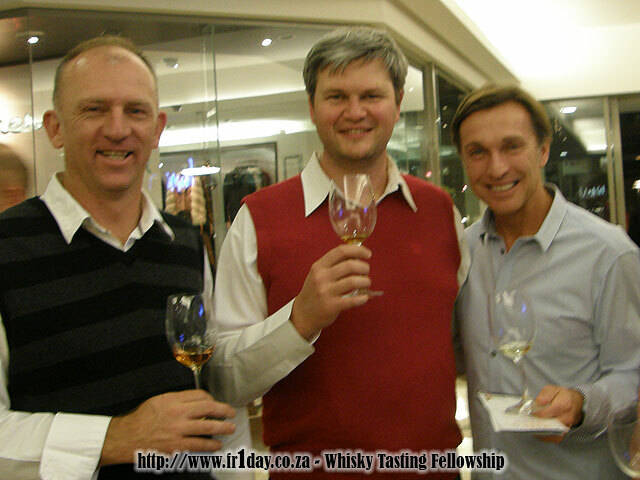 I enjoyed the entire experience especially the wine tasting, I loved the Ernie Els wines and well the organic wines. Enver: I had a fantastic time tasting some great names in the whisky industry… Glenbrynth 40, Highland Park 18, Balvenie Portwood 21 and then there was the Glenlivet range also fantastic and many more of course! Thanks again. Oh my other half enjoyed herself too – I think you let me score some extra points with her… 😀 It was an experience of a lifetime!!! Can’t wait for the next. Tebogo: It was brilliant. I loved the way they explained about different red wines as that is what I usually buy. And their suggestions regarding the different meals you can serve the wine with. My regret is that I concentrated on the red so I will have to go to the next one to get more info on the white wines. 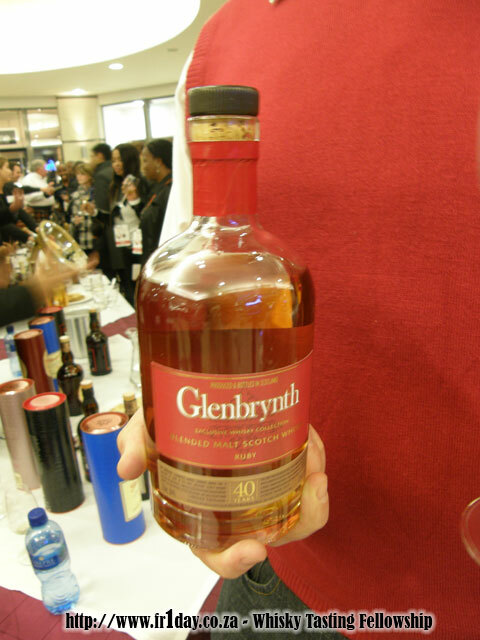 I am not a whisky drinker, but there was about two brands which I would be willing to buy. The venue was lovely, maybe it was my lucky night but I loved the crowd. I am now looking forward to the next one. Now only the only question is… When is the next one Kaya FM / Wade Bales? Great post. Sorry I missed the things AGAIN! Did you and Hector colour code and wear the whisky uniforms? I really have to make a plan to get to the next one. When is it? We look forward hosting you next year. Thanks Tyron, I’ll be there!